The Old Goa, Spice and Crocs tour allows visitors a diverse look at the history, industry and wildlife that helps define the identity of Goa. Your tour will begin with the history and heritage of Goa, with a short drive transporting you to Old Goa, once referred to as the ‘Rome of the East’. The several scenic churches, convents and colonial buildings are listed as a UNESCO World Heritage Site and are protected by the Archaeological Survey of India. 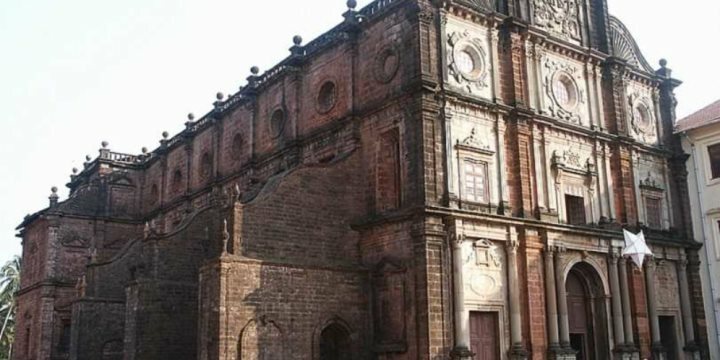 You’ll have the chance to encounter Old Goa’s primary sites, including the stunning Basilica of Bom Jesus and the Se Cathedral, the latter home to the famous Golden Bell. After your culture and history fill, it’s time to sample the local cuisine. A short drive will bring you to the Savoi Plantation, a colourful and intriguing spice plantation. Rather aptly, this is where you will enjoy a Goan buffet lunch, appreciating the many flavours of Goan cuisine. Once your hunger pangs have been quelled, you will board a boat for a ride along the River Zuari. Here you will begin your search for crocodiles. The waters here are also famous for a wide range of birdlife, as well as functioning as fishing grounds for local fisherman. Once you’ve encountered the beasts of the water, you will return to dry land for your journey back to your hotel.